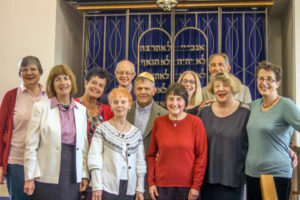 Service held with the KLS Choir led by Rabbi René and our Director of Music, Rebekkah Weddell. Our members also regularly share their ‘Desert Island Discs’ during the service. Please bring something sweet or savoury (but must be vegetarian!) to share for Kiddush. See Services for more information on the type of services held at KLS.